Last Thursday evening The Ohlmann Group marketing team joined a small group of businesses from across the Dayton region to celebrate being named by the Dayton Business Journal as one of Dayton’s Best Places to Work for 2014. The event featured a marching band, costumes, songs, cheers, fun, food, drink, and an auditorium filled with exceptionally talented and extremely friendly professionals from a diverse set of businesses. It was an honor to be included in such a great group of local firms. 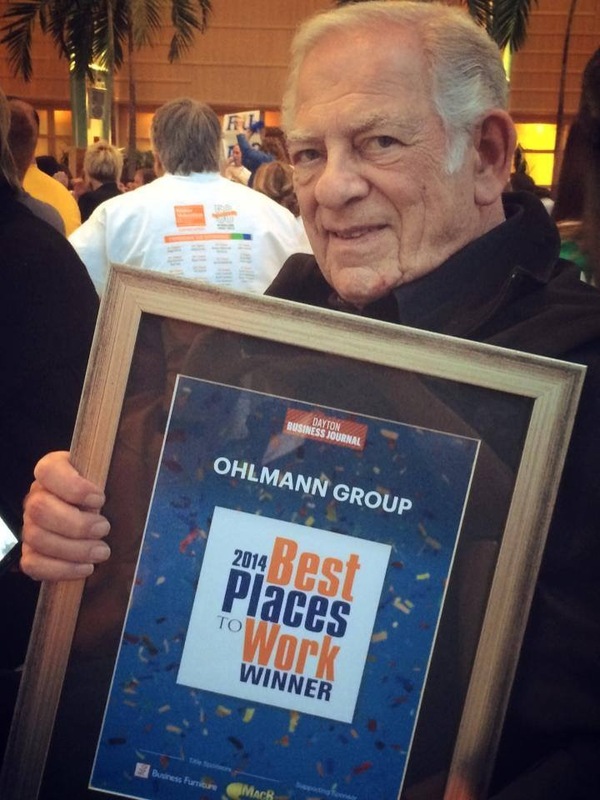 “The secret to what we do at the Ohlmann Group is simple. In fact it really is no secret at all. We have built our culture around love. We love our craft – . Creating the future is fun. We love our clients – we care deeply about them, their businesses, their lives, goals, hopes, dreams, & aspirations and we work hard to deliver real results for them through our efforts. We love each other – we’re like a family. We work closely together as a team, fighting, laughing, crying, celebrating, cursing, grieving, and growing with each other and collectively as one. We genuinely care about each other, a sentiment that generates from the leader of our organization Walter Ohlmann, who demonstrates how much he cares for each and every one of us whom he employs every single day. While the DBJ Best Places to Work award is a wonderful honor, the real prize is getting to come here each and every day and do what I love along side of such a talented group of passionate creative, strategic, and media marketing professionals.